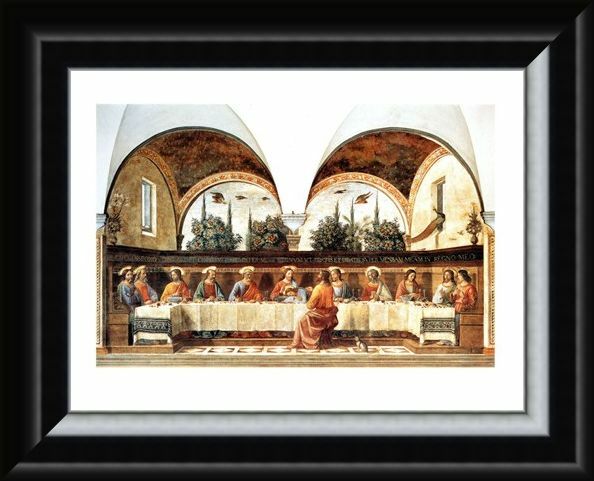 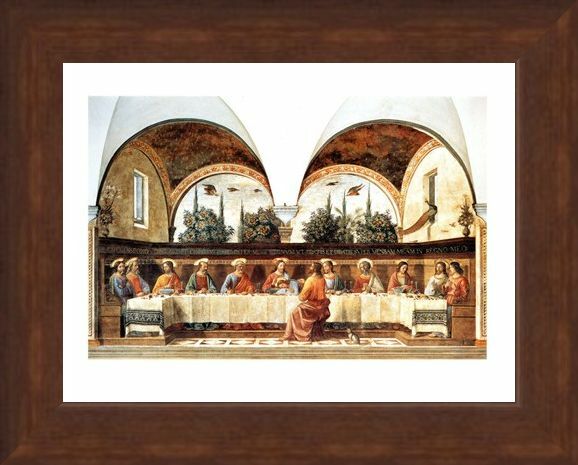 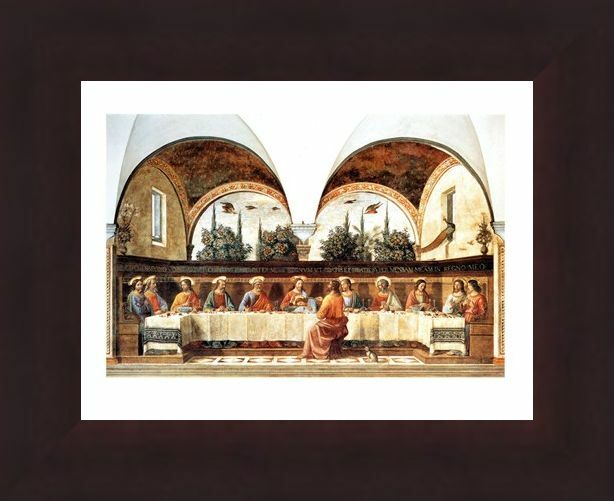 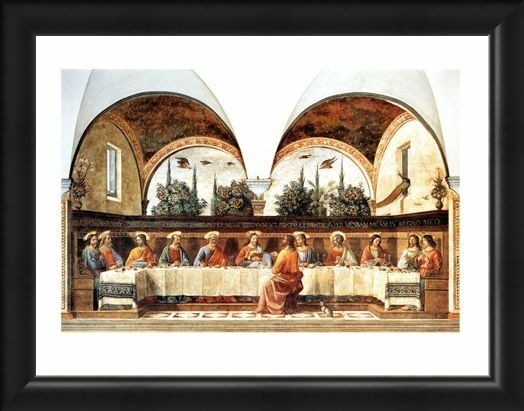 Mini Art Print: This spectacular interpretation of The Last Supper or "L'ultima Cena" was originally painted life sized in the Franciscan church of Ognissanti which resided in Florence. 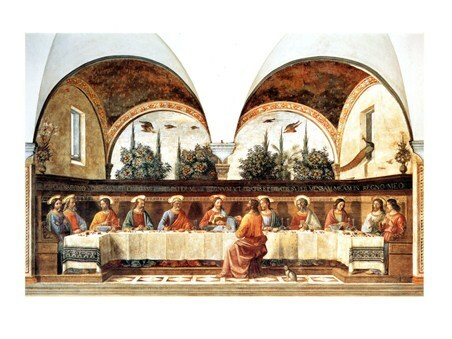 Created by Italian artist Domenico Ghirlandaio around 1480, (around a decade before Leonardo Da Vinci's version) this was a true masterpiece. 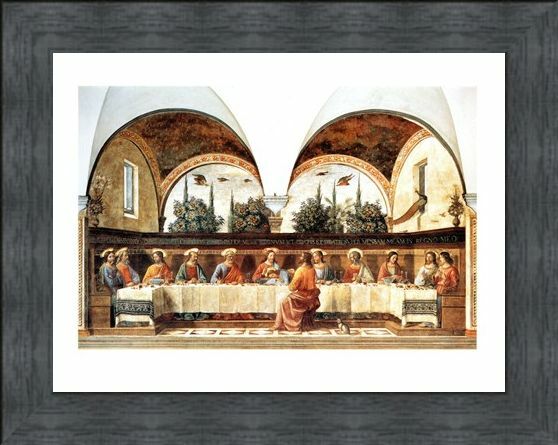 Ghirlandaio managed to create the illusion of the ceiling being extremely curved, and as you scan up to the top of the picture you would be forgiven for thinking this was almost 3D. 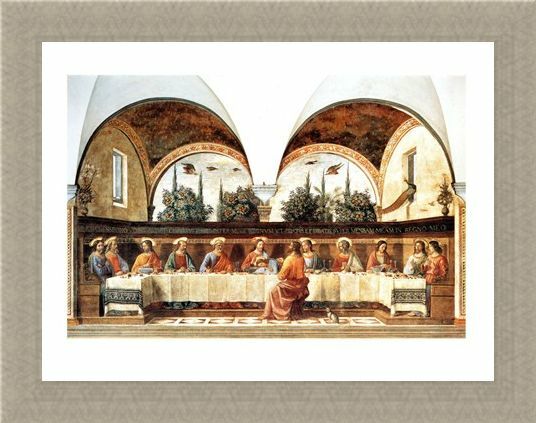 In this Last Supper, Judah is seated on his own, away from the other 12 in the group and opposite Jesus, which sets the scene for the later betrayal. 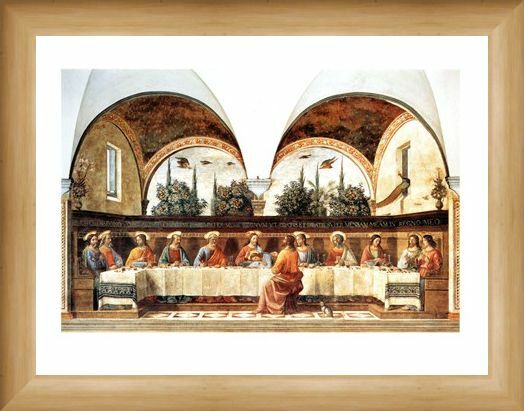 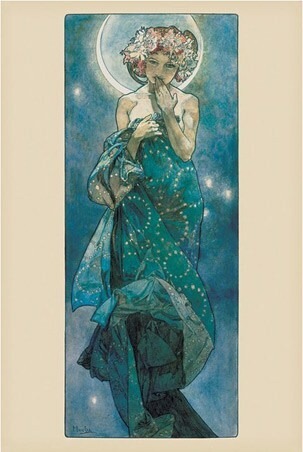 So if you adore The Last Supper then why not get hold of this fantastic art print and have a historical masterpiece on your wall. High quality, framed L'ultima Cena, Domenico Ghirlandaio mini print with a bespoke frame by our custom framing service.